I gather inspiration wherever I go. Most often it's waiting for me right outside my back door. But as much as I love living surrounded by trees, sometimes I need a little urban shake-up. My family and I spent a jam packed weekend in NYC (yes, this road trip was on my mind when I created the felt board!). I've come home with fresh ideas and new perspective that I'm sure will shape the artistic direction of my fall. I'm still digesting it all, but yesterday's visit to the Metropolitan Museum of Art was especially rich and delicious. My husband and children had already seen the Doug+Mike Starn on the Roof: Big Bambu exhibit during the spring... now it was time to bring their mama and grandma. 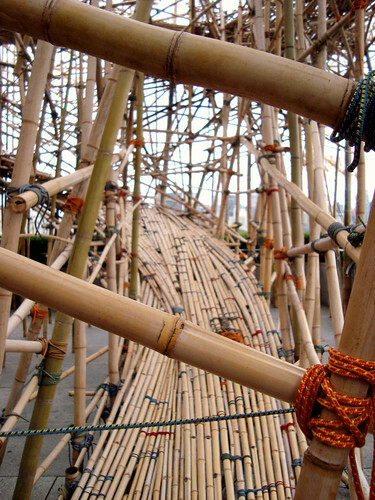 The monumental bamboo structure, ultimately measuring 100 feet long, 50 feet wide, and 50 feet high, takes the form of a cresting wave that bridges realms of sculpture, architecture, and performance. 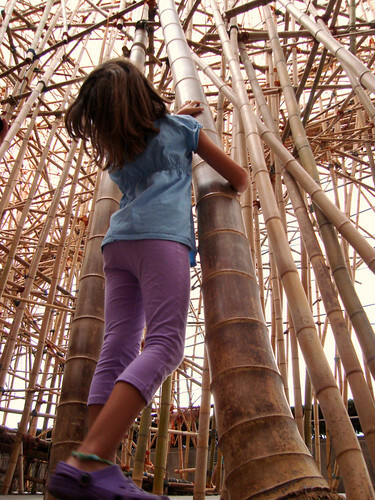 Visitors witness the continuing creation and evolving incarnations of Big Bambú as it is constructed throughout the spring, summer, and fall by the artists and a team of rock climbers. 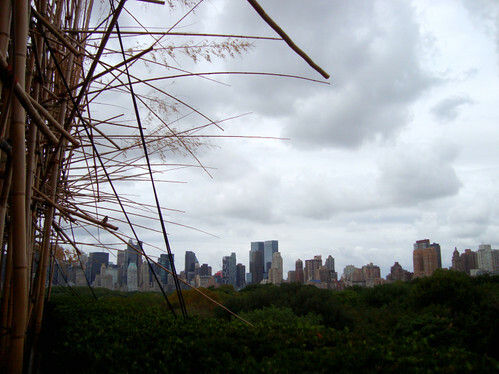 Set against Central Park and its urban backdrop, Big Bambú suggests the complexity and energy of an ever-changing living organism. 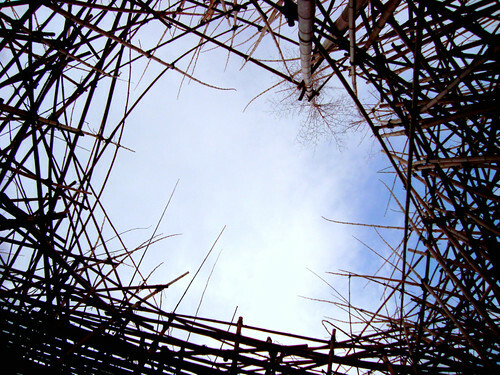 Big Bambú is a growing and changing sculpture―a vast network of 5,000 interlocking 30- and 40-foot-long fresh-cut bamboo poles, lashed together with 50 miles of nylon rope. It will continue to be constructed throughout the duration of the exhibition. The first phase of the structure―measuring about 100 feet long, 50 feet wide, and 30 feet high―was completed by opening day, April 27. The artists and rock climbers are continuing to build up the eastern portion of the sculpture to an elevation of 50 feet. By summer, the western portion of the sculpture will be about 40 feet high. An internal footpath artery system grows along with the structure, facilitating its progress. They have their own flickr set for more glimpses into this amazing installation. Between that breathtaking experience, catching the last day of the American Woman: Fashioning a National Identity, and a day of window shopping in some of my favorite places in the Flatiron district... I'm settling in with my notebooks and camera to savor and organize the light bulbs that kept flashing in my happily over stimulated mind. Stepping outside of my everyday world is a sure way to breathe new life into my creativity. Where do you find your inspiration? Ahh, you have me thinking that a change of scenery may help to inspire some new creative processes inside of me. I felt a bit flat as of late as I try to balance the repetitive tasks of our handwork business, homeschool planning and work around the homestead. I love all of this but I do think a brief change would be helpful. I can see how the exhibit would draw inspiration. Outside of my everyday, I find inspiration in stores museums and nature. 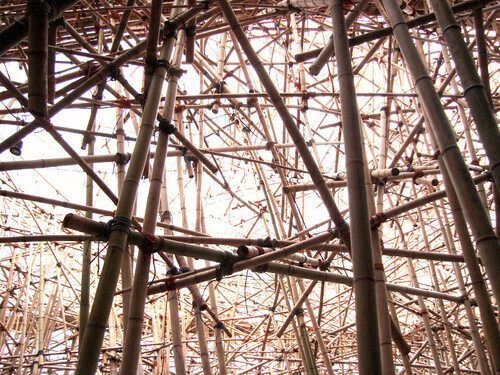 sounds incredible - i would love to see that bamboo installation! for me, travel is always the most inspiring thing. maybe because i am really paying attention to everything. and also, traveling tends to leave me really energized and in a making mood. i always come home full of ideas. 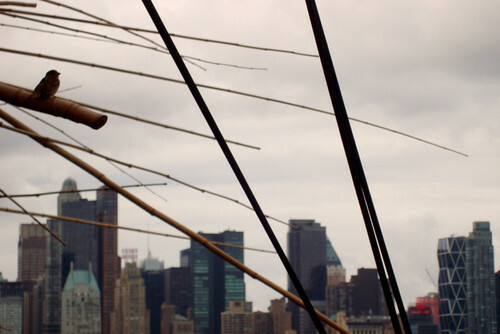 I recently took my 11 year old to NYC. Wish I had done this with her. Instead we had an "Eloise" and " All of a kind family" excursion which was also fun. That is amazing..oh how I wish NYC was a closer road trip away for us....Great pics.